I’m a Star Trek girl. Like really. My first crush was on Spock, before I arguably knew what crushes were. I watched every single episode of the original series, memorizing episode titles and studying a companion guide. I constructed a mock Enterprise manual, complete with blueprints and organized by department (The Bridge, Engineering, Sick Bay, etc.). I found a random robot toy which made the perfect sound for my self-constructed tricorder. I spent hours constructing my own “Star Trek Opoly”. Yep, I was that girl. 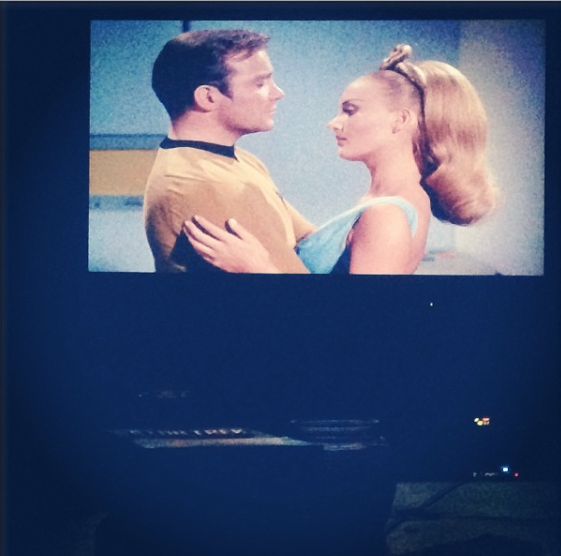 And there’s a reason I’m a Star Trek girl. Not only did the series arguably crystallize the Sci-Fi genre on television, but it did so with a fundamentally “real” approach to the science at play, coupled with searing insight and musings on human nature. The series isn’t just a platform for phasers and aliens; rather, it’s an astute commentary on the nature of reality. It’s this metaphysical aspect which is sorely lacking from the most recent big-screen Trek endeavor. Now I apologize in advance, because I’m not typically one to critique. A vast amount of energy, talent, money, and spirit goes into making a film, especially one of Star Trek‘s caliber. But while Star Trek Beyond shines as a stand alone piece, I feel like the movie series is quickly warping away from the spirit of its genesis. 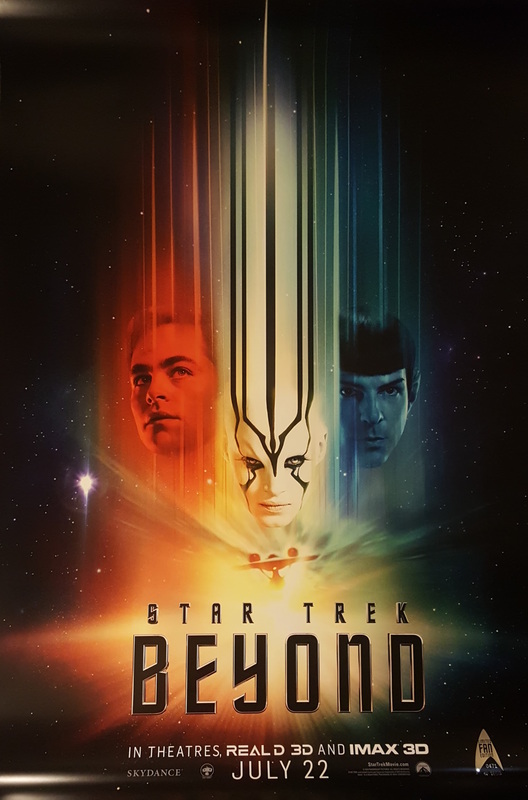 Star Trek Beyond, the third installment in J.J. Abrams’ reboot of the original franchise, feels more Star Wars-y than Star Trek-y. At the risk of alienating people with the following statement, (pun intended), I believe a key difference between Star Wars and Star Trek involves the second word in their respective titles: Star Wars signifies beautiful action. Fighting. War. Star Trek, on the other hand, is more about the philosophical issues and mind. It’s not so much about the war, as the Trek… the journey. What always drew me to the original series was the philosophical issues at play. True, the episodes can be cheesy at points and every planet has that same weird red hue, but in the end, you typically walk away thinking about something: the concept of justice (The Conscience of the King), the futility of prejudice (Let That Be Your Last Battlefield), man’s true nature beneath social convention (The Naked Time), the cost/benefit of ignorant idealism (This Side of Paradise)… After all, when you have an episode titled For The World Is Hollow, And I Have Touched The Sky, you just know there’s some contemplation going on here, even if the particular episode doesn’t live up to it. One of my favorite episodes: The Naked Time. 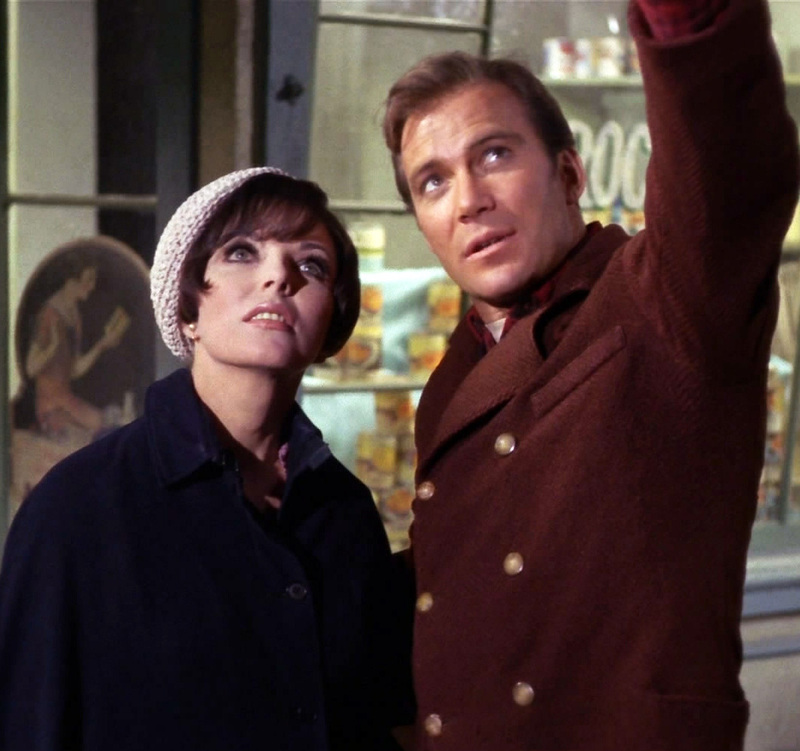 Many of the original Star Trek episodes aren’t so much about space travel, as they are about space travel leading to engagement with new cultures and, consequently, new perspectives. In exploring the unknown corners of the universe, the Enterprise crew experiences new worlds, new ideas, and new concepts. In doing so, they learn things not just about others, but about themselves along the way. Star Trek Beyond, on the other hand, falls short by simply reiterating established concepts we already believe in. While it hints at exploring some revolutionary concept explaining Kralls’s seemingly evil actions, it falls short at actually doing so. Overall, I found Star Trek Beyond’s plot to be a bit underdeveloped and confusing, held together by some vague notion of revolting against organized, controlling government-type forces (aka: Starfleet). If that’s the concept we’re gonna debate, I’m all for that! I just wish the film had truly expanded on it, rather than nodding to it briefly in a watered down version for the masses. Put simply, this most recent installment felt like 2 hours of pretty shooting and fighting, with minimal thought at play. Even space itself was mostly absent, and felt claustrophobic at that. Just a night in, watching Trek with the fam! The movie also includes shockingly few nods to the original series, beyond the characters themselves. I get that no one wants the film to be a rip off, but I do believe a hearty amount of Trek motifs would be more than welcomed (something I believe the first Star Trek film did quite well.) For example, I’m typically the last person to encourage meaningless sensual cinematic flings, but a token signature of Star Trek is Kirk’s inevitable romance with the current episodic alien woman. 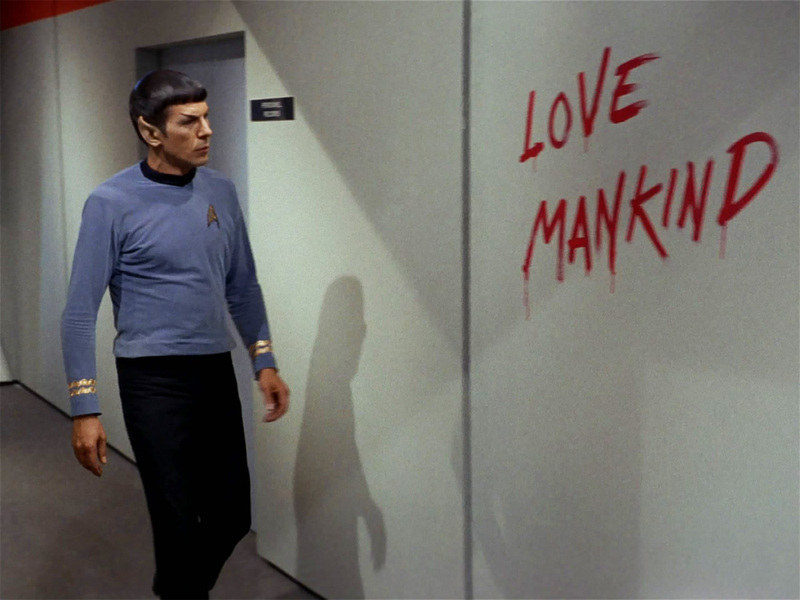 How in the world Spock ended up with the token romance (sparse though it may be) is beyond me. And what about the humor? While Star Trek Beyond has its fair share of credible one-liners, it misses the mark on some of the outstanding, substantial humor of the original series (Think: I Mudd, The Squire of Goths, and of course, The Trouble With Tribbles.) And while the film opens with Kirk’s obligatory log (Star Date: Let me now tell you what I’m feeling…), it fails to include the characters’ philosophical musings on the Bridge at the end. Even Kirk seems somewhat ashamed of the original series in the opening of Star Trek Beyond, lamenting that the journey has become some what episodic. 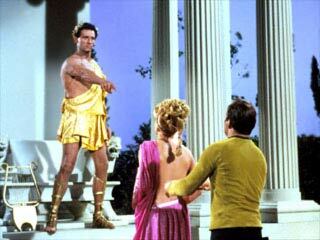 Star Trek questions the root of the Greek gods in Who Mourns For Adonais? I also always loved the original series’ tie-ins into our own dear planet Earth – something Star Wars could never do. Think episodes like Assignment Earth, Requiem for Methuselah, or even The Savage Curtain. So of course, one of the things I did like about Beyond, was its aptly suited placement of the “Classical” music of the 1980s and 1990s, with Public Enemy’s “Fight the Power” and the Beastie Boys’ “Sabotage.” Such references are not only humorous, but they add a revelatory perspective to pop culture relevance in the passage of time. Pretty please can I just be her? The bad news? I think something is lost in space in Star Trek Beyond, which sacrifices intellect for action. It’s 70% war, 30% trek, when I believe that ratio could be reversed. The good news? 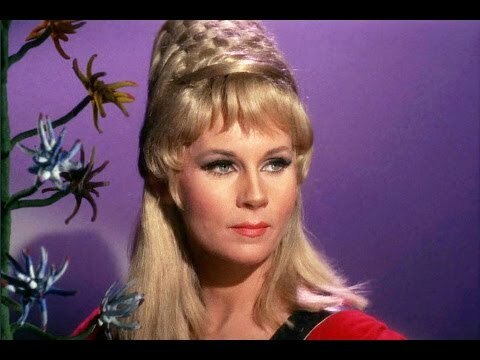 Yeoman Janice Rand still hasn’t made an appearance in the new film franchise… there’s hope for my dream role yet! In other news, I ate kangaroo last night, so I think I totally could handle weird alien space meals….